The name of my Ltd company. 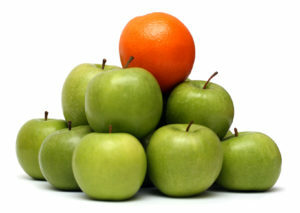 It’s so called because I help you stand out from the crowd online, and you can’t compare apples and oranges. We met on Facebook in 2008 and married on Twitter in 2011. Our favourite type of holiday. Typically, we spend one month a year on cruise ships. We have 2 ‘Teacup’ Chihuahua girls; Pepper who is 5, and Teddy who will be a year old in August. You can follow them on Facebook HERE. The tea that fuels me. Best tea blend ever. 100% of our entire household income comes from Facebook. That’s what I help my clients to do. I bought my first home at the age of 19, a flat, and at the age of 26, bought my first house with the help of a 125% mortgage. My beloved ‘Royal Island’. I fulfilled a 20+ year dream to move here in 2013. The job I wanted to do when I was a child. I wrote to the Editor of the Worthing Herald when I was 9 asking for a job! LOL! My mum who died last month at the age of 88. She was 42 when I was born, and brought me up on her own since my dad died when I was 7. Building a database of email and Messenger subscribers is vital for every business owner marketing online, so you can follow up, continue to add value, and build relationships long term. Inside my Lead Magnet Academy program, you’ll get my help to create and publish your compelling lead magnets to incentivise your audience to subscribe to receive your follow up marketing. Messenger Bots are the newest power tool in the online marketing toolbox. Get permission from your most engaged audience to send your marketing messages to their personal Facebook Messenger inbox, where there is a 100% guarantee of delivery and 75%+ are opened and read. Compared to average 25% email open rate, and 2% of page fans who see organic posts, every serious online marketer should add a Messenger Bot to their conversion process now. My dad was a Milkman (seriously, lol!) who was 58 when I was born, but died in 1977. N is also Norman Wisdom who my mum worked for as his live-in nanny when she was in her 20s. I moved my social life online when my driving licence was medically revoked 20 years ago, and would go to work all day and come home to hang out online for fun. Now I get paid to do it and it’s the best ‘job’ I could ever have imagined! O is also ‘Oceana’, my favourite cruise ship. For 2 years in my early 20s, I worked as a Nursing Assistant in a secure assessment unit for patients with Alzheimer’s. The combination of this job and my dad dying taught me not to wait to do anything you REALLY want to do. Do it now. The Social Marketing Queen is my personal brand. I was diagnosed with RA at the age of 12, and today it’s pretty severe, but it doesn’t stop me doing anything I want to do. Also, Retinitis Pigmentosa (night blindness and partial loss of lower vision) that was diagnosed when I was 25 which meant an automatic driving licence revocation. My Signature System that I developed to show the 8 stages your online followers transition through from meeting you to feeling confident enough to buy from you. You’ll attract a consistent stream of enquiries and paying clients from your online marketing activity when you cover each of these steps, regularly and consistently. My flagship program that is helping coaches, trainers, therapists, speakers and experts to create, promote and sell their online program or services on Facebook. This program is my most transformational work and member successes are reported regularly with many people generating their first ever online program sales, even though they’ve not experienced success previously. I LOVE my Uggs and wear them every day. They are soooo comfortable and cosy! My name but it also stands for Victoria which is the name my dad wanted to give me. Victoria was the first Queen of ‘my’ island. Veronica (me) is the second. Lol. I was born and bred in Worthing in West Sussex, and didn’t move away from there until I was 38, when I left to move to Redhill in Surrey to live with Bill. My ABSOLUTE favourite, happy colour. If I can buy something in yellow, I’m having it. ? My yellow ‘Slappie‘ watch makes me smile. Sleep is my #1 priority. If I don’t get all the sleep I need, I can’t be the best for myself or my clients.